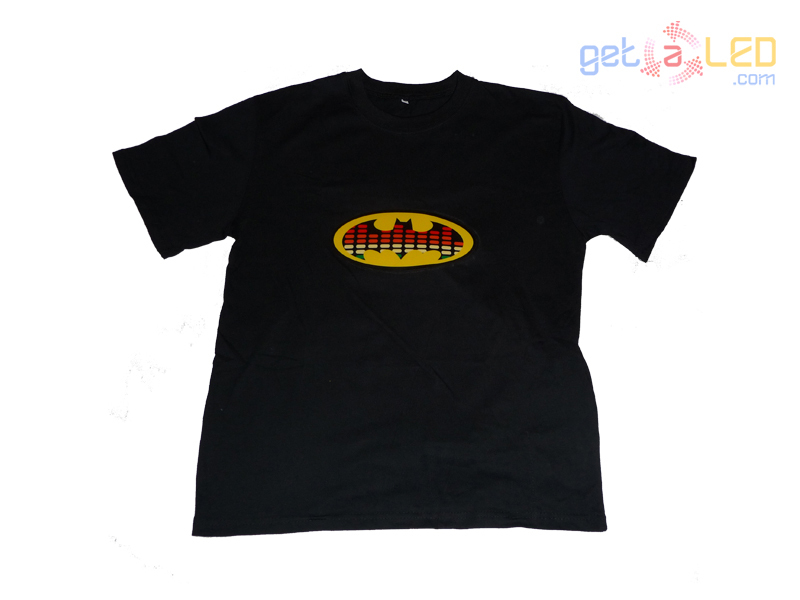 Batman t-shirt - Get the original light-up disco experience. These nifty Flashing T-Shirts combine an Electro Luminescence Graphic Equaliser display with fresh new designs. Cool Led t-shirt – you will buy online in this e-shop for good price. If you want custom shining shirts with your own logo or design just fill up order form directly here. We will produce LED T-shirts for you with the supplied logo or graphics design exactly by your requirements. With this LED shirt you will definitely have a great marketing tool to promote your business activities.